ZT Zoo - a stunning new pattern from the real professionals in their work - studio ZooTemplate. 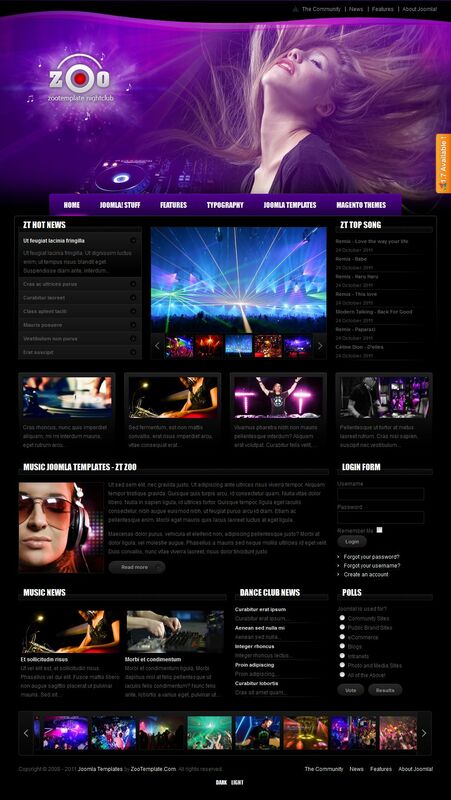 In combination with additional extensions of the studio, any Web - master can create a real musical portal site for a night club or fan site di - dj. The template has fast loading, well-optimized code to support two color themes (light and dark) and full support for display on mobile devices. Support component K2 template gives special potential and additional features.